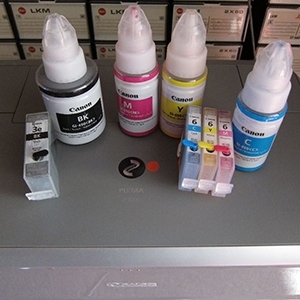 Discussion in 'Epson InkJet Printers' started by brian_mk, Apr 16, 2019. ‘C Program Files\Common Files\EPSON\EBAPI\eEBSvc.exe’ does not exist on my system. Instead I have C Program Files\Common Files\EPSON\EPW!3\E_S50RPB.EXE’. BTW: I can't figure out why 'C:backslash' is being converted to an emoticon in the text above ??? why 'C:backslash' is being converted to an emoticon in the text above ??? It is the combination of ColonBackslash, not "C". Thank emoticon fans. Link not working when I just checked. Page says it is under maintenance. These things are notoriously difficult to diagnose over the internet. If you are not using Windows Firewall, then you need to look at the settings of the firewall you are using. For instance, I use Norton Security for AV and malware. It also has a Firewall that I use instead of Windows. If you are using Windows Firewall then it sounds like the Printer either isn't installed completely or may not be set up for WiFi. Or, maybe, the printer is "whitelisted / blacklisted" and is noted in a different section of the firewall's settings. Couldn't find out what this is. Did you type it correctly? Not me but I am sure some did as this is inevitable with millions of users on machines with millions of variations in their setup and/or malware. You could try Googling "windows 1709 update epson 1500w" or same but with "windows 1709 update epson ink monitor" or some other version. Seems others have had issues, too. Windows 1709 is old already. I currently run Windows 1809. I recommend you update to the latest version update of Windows as this may take care of your issues. Consider uninstalling your Epson printer before updating and make sure to reboot the computer before updating. Yes - there should to be a way to disable this feature. It can be annoying. The link is working this morning. A backslash between the '3' and 'E_IATIHME.EXE' went missing. This came from Task Manager. It shows a process named 'Epson Status Monitor 3'. Right clicking the process and select 'Properties' gives the path and filename. There is a second process related to Epson Status Monitor that shows up in Task Manager or Process Explorer named 'E_IARNHME.EXE'. This only runs when the printer properties window that displays the ink levels is open. I suspect this process is polling the printer status using UDP. I've not yet figured out how the UDP packets get through the Windows firewall as neither of the two processes above appear in the firewall exceptions list. It could be that they are making use of another agent or service that does appear in the list ? I shouldn't need to update Windows to 1809 to fix a firewall problem. In my experience, updating software that is not directly related to an issue will more often than not introduce yet more problems. I try to defer Windows Updates for as long as possible. In my experience they always give trouble. I'm sure it was a Windows update that caused the Epson Status Monitor to stop working in the first place. I had major issues with the Start Menu not working following the original update from 1703 to 1709 and was forced to roll back. It took Microsoft many weeks/months to fix. During that time they offered no help to users experiencing the problem. Forums offered 3 or 4 so called fixes along the lines of 'try this, if that doesn't work, try that'. None of these fixes addressed the real root cause of the problem. This problem was reported soon after Windows 10 update 1709 was first released in mid October 2017. That ties in with my problem as I delayed the 1709 update until just recently. This relates to Win 7 but apparently it also applies to Win 10 after the 1709 update. It specifically mentions the problem applies to some Epson SIDM dot matrix and POS printers not working at all, so I'm not 100% sure if it is the same problem with the Status Monitor not working. I can't see KB4055038 in my update history. Interesting you had problems with 1709. My Windows 10-64x Home problems began with Windows 1809 when it first appeared around Oct. 2018. I updated to it from 1803 and several programs were missing as well as some desktop icons. Some were not "Digitally signed by MS" and then MS pulled the first 1809 in a few days for sundry issues and I believe they re-issued it later after they debugged it. It got so bad that it finally "black screened" and would not even boot up into Windows. Major failure which would cost me time to reload everything as well as argue with some software outfits for new serials too. Luckily, I had the entire 1803 version backed up on a flashdrive with Macrium Reflect 7. In about 45 minutes, I had reinstalled all software and 1803 back onto the computer's SSD drive and up and running. The newest Macrium has their backup choice (Still need the complete prior system on a flashdrive.) as well as Windows OS as a boot-up selection window too. As of now, I am still on 1803 and do not wish to repeat the mess. Windows keeps trying to install a newer version but I refuse it. I set their installs to the measured service download thing to keep it from doing it in the background. My internet speed is so slow the update takes overnight to do anyway. Wish I could permanently keep MS from updating, but all attempts seem to fail in time and MS finally gets through them with the Home version and asks to install it. No way - and leave my computer alone MS! I totally agree. I was perfectly happy with version 1703. It was stable and everything was working as it should. Even with the 'Pro' version of Windows, you can only delay updates for a limited amount of time. I don't mind the security updates or bug fixes but I don't want any of the new features that M$ push onto users - especially when they break existing software. M$ don't test updates thoroughly before they are released. Obviously there are so many different systems out there that it would be impossible to test every combination. It's cheaper to release and wait for users to complain. The worst aspects of Windows Updates are 1) They are forced on you whether you like it or not and 2) They happen without warning. That can mean there is insufficient time to make sure everything is backed up before the update installs itself and wreaks havoc with your working system. From your linked article: "It happened to "one one-hundredth of one percent of version 1809 installs," he indicated." When the error rates are this low it probably is due to the user's setup. hardware and/or settings. A corruption in the download is a consideration. MS re-issued the 1809 update after patching it in November 2018. You don't know what is the actual problem. Could be Epson is letting you down with a driver that is not as stable as you may think. Updating OS or drivers or re-installations of hardware are standard practices in approaching certain problems like yours. Any of these may resolve your issues. Or not. Where do you see that it apples to Windows 10? My reading of the link is it applies to Windows 8.1, Windows 7 Service Pack 1, Windows Server 2012 Standard, Windows Server 2012 R2 Standard, Windows Server 2008 R2 Service Pack 1. Regardless, the link states applies to Dot Matrix and POS printer, none of which applies directly to you. Correct? I get nothing when I Google this. Which is why I suggested OP whitelist the processes/files that are blocked by his firewall as a possible resolution, whatever firewall that is. Your link give a better indication of what to consider than I was able to as a non-Epson user. Not sure why you would if your are a Windows 10 user as the fix is for older OS'es. M$ don't test updates thoroughly before they are released. Obviously there are so many different systems out there that it would be impossible to test every combination. There are millions of different system setup. It is impossible to test ALL. Referring back to one of your links, the deleting of certain files in the unpatched update affected "one one-hundredth of one percent". That is pretty damn good error rates for a product that has to negotiate millions of different hardware and software setups. Of course when the error happens to you it seems the world is afire and no one can help. I do not think it fair to lay the blame solely at MS feet. Yes, typically long enough to see if others users are having issues (and maybe see a patch rolled out). Also, you can set conditions on when the update will be downloaded and installed. In this fashion, you can have plenty of time to do a backup before the update is installed on your computer. If that is not enough then get the Enterprise version of Windows where you can manage updates the old fashioned way. Power users dislike the update scheme from MS but you learn to live with it or get Linux/Mac. Don't let it get you down. Microsoft and Epson have identified the cause of the issue and are working together on a solution. This is not a printer driver related problem, so installing current or older print drivers will not resolve the issue. For now, we recommend checking this thread every now and then. Microsoft will provide an update as soon as possible. You may notice that the thread is for Windows 7, but it also applies on other Windows version such as Windows 10.